Charlie Fish and J.P. Murphy met in Jacksonville, Florida in 1989. Charlie was in radio and J.P. was bartending and working as a stagehand in and around Jacksonville. It was there that they started exploring the world of wine and beer. In 1994, they made the decision to move to Charlie’s childhood home of Winchester, Virginia. Once here, they were increasingly frustrated by the fact that they couldn’t find any of the beer or wine they’d grown to love. Instead of complaining about it, they decided to do something about it! They decided to bring the best in wines and beers to Winchester. Hence, The Murphy Beverage Company was born in December of 1997 (The Fish Beverage Company just didn’t sound appealing). Murphy’s initially opened with a focus on beer, but quickly learned wine was of a tremendous interest to the local community. Charlie went on to take & pass the Introductory Sommelier Course from the Court of the Master Sommeliers in 2004 and pass the Wine & Spirit Education Trust Level II course. She is now running the oldest wine shop in Winchester and surrounding counties & currently studying for WSET Level III. The Murphy Beverage was the first to bring you craft and imported beer & has the only climate controlled wine room, stocked with the finest wines in town. They were also the first to support the Virginia wine industry, earning four Performance Awards from the Commonwealth for their efforts to promote Virginia wine. Charlie & J.P. thought it was an honorable thing to support local farmers and set out to bring Winchester the best the state had to offer. 20 plus years later and with over 300 vineyards, the Virginia wine industry has exploded and world class Virginia wines are available statewide. 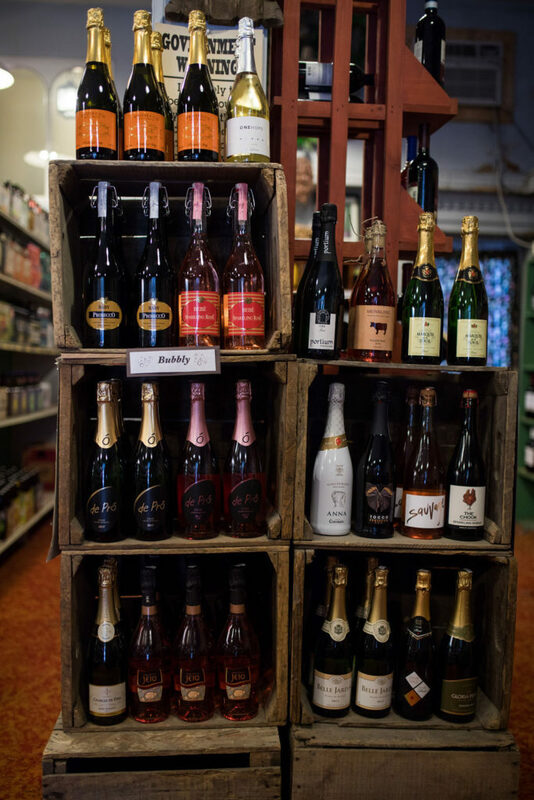 The Murphy Beverage Company is firmly established as the best location to purchase the best wines Virginia has to offer. Located on the Old Town Mall, in downtown Winchester, The Murphy Beverage Company has set itself apart by offering you hard to find and boutique wines. They know that it takes more than a rating to make a great wine and take pleasure in putting a bottle in your hands that you may not have heard of, haven’t read about and can’t find easily anywhere else. A long time ago, they coined the phrase, “At Murphy Beverage, you get all the wine, the lowest price and none of the attitude.” Come visit us, we’ll do our best to make you comfortable and find you the best wine for YOU!